At a certain point, every one of us wishes we were royalty. 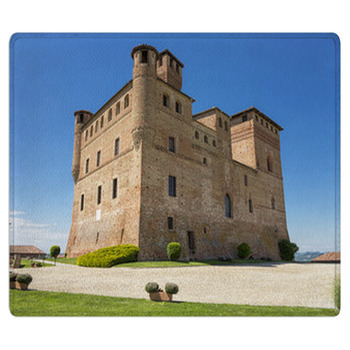 We imagine living in a huge castle in a beautiful land and being waited on hand and foot. When we snap back to reality, we realize this will probably never happen. 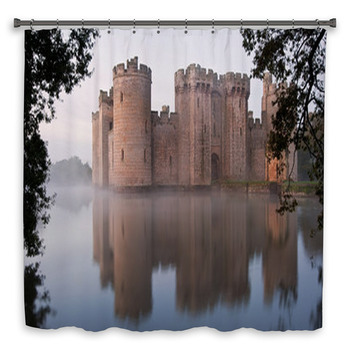 There is no harm in dreaming, though, and castle bath decor helps us do just that when we are enjoying our bath or shower. 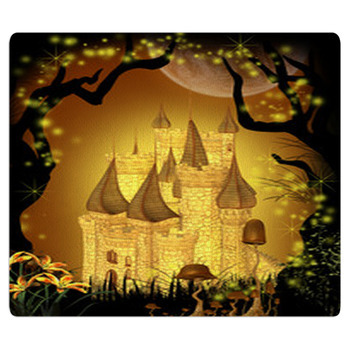 Many bath accessories that feature a castle theme are designed for children. 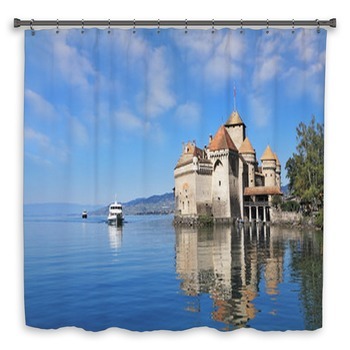 That is not always the case with castle shower curtains, as many of the hundreds of designs are more suitable for adults. 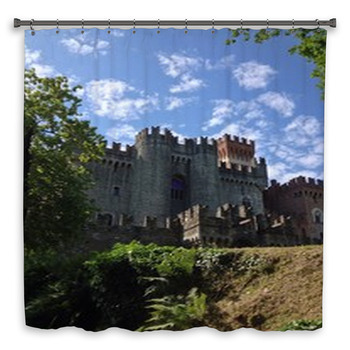 Images of the most impressive castles in the world can be included on the front of these curtains. It should not be difficult to find bathroom sets in colors that coordinate with these images. 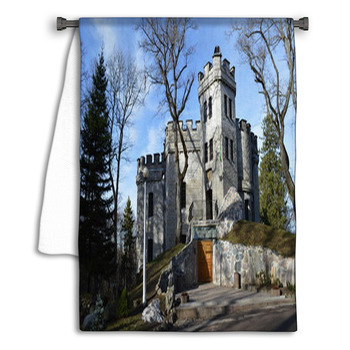 Castle towels in earth tones like blue, green, and brown will match nicely. 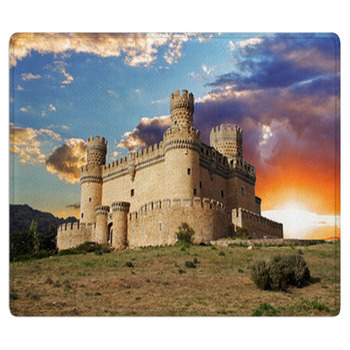 People who have never visited a castle will not understand how magnificent these structures are until they view the images used on these decor. 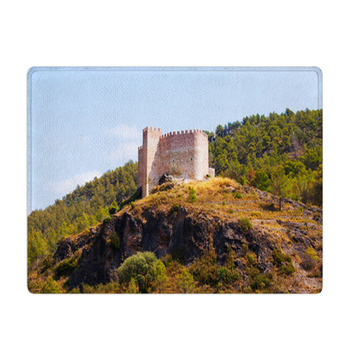 The castles are hundreds of years old and feature nearly as many windows, quite a few spires, and even some turrets. Whether they are located on rolling hillsides, around lakes, or on flat grassland, their impressive stature enhances the scenery quite a bit. If they look this beautiful from the outside, imagine what they look like inside. 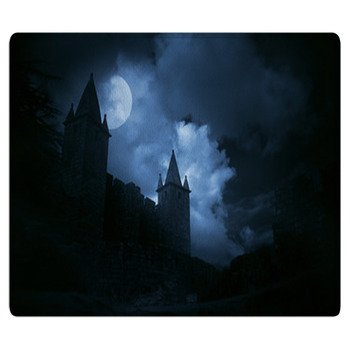 Some castle designs feature eerie images of a moonlit castle on some barren land. 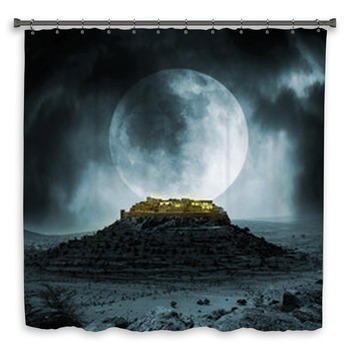 Customers with more gothic taste will appreciate these and can decorate with bath accessories in brown, black, and navy blue. 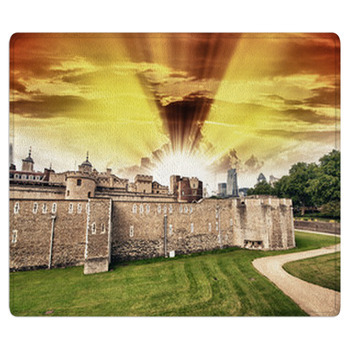 Other images are of castles lit by streetlights on a cold winter night, with the surrounding ground covered with snow. These shower designs should be displayed during the winter months, giving people a perspective of how the other half lives. Of course, there are also designs for the dreamers in the crowd. These cartoon images feature sparkles and rainbows and the designs made for children are presented in pink and purple for a girl and white, red, and brown for a boy. 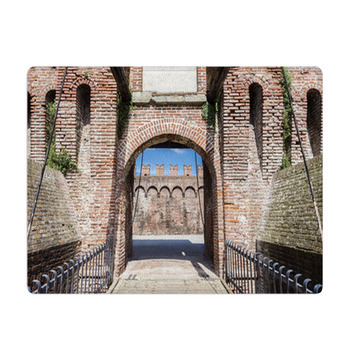 There are even castles bursting forth from magical storybooks that tell a tale of an imaginary land far from ours. You do not need to be a child to appreciate these images. Traditional castle are not the only shower designs featured, as sand castles are also fair game. A bathroom in a seaside home will look nice with a curtain that features a massive sandcastle in front of a serene ocean, with a rock jetty to the side. The pirate in us will appreciate the treasure map design that features several castles, some buried treasure, and a few places to avoid. 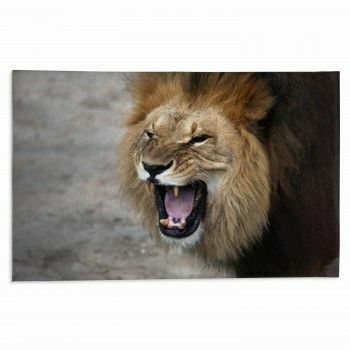 Why not use these images for your bath mat and wall art? No matter what style tickles their fancy, shoppers can customize the item further by having a personal message added to it. These may be words of wisdom or motivation to aspire to such greatness. In all cases, the bathroom will be enhanced by the curtain and bathroom sets in complementary colors.